The Intermediate Results 2018 are finally announced! There’s no doubt about the fact that the life of every hard-working student revolves around sleepless nights, hunger attacks, and studying day and night. Speaking of which, the intermediate students have been handed out their results and let’s just say, they have performed brilliantly! We all know that “The Result day” is the most dreaded day of the year for all the students. 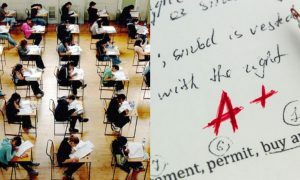 No matter how well you have performed, it still makes you anxious, you begin to recall every little mistake you might have made while filling those exam sheets and all those negative thoughts conquer your mind. But despite all that, many students bag top positions and achieve the title of “high achievers”. 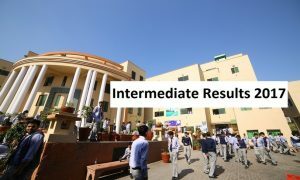 This year, the intermediate results were announced on 11th of September’18 and the ceremony was held on 12th September’18. SO, HOW WERE THE RESULTS THIS YEAR? You’ll be amazed once again! This year, in Punjab Group of Colleges the passing percentage of students was 59.87%. No doubt that they have proved their excellence once again in the educational world. Not only that but Punjab Colleges accomplished 153 Top Positions in All Boards Intermediate Result ’18. Kashaf SanaUllah from Punjab College Lahore secured an Overall 1st Position in All Board Intermediate Result ’18 with 1062/1100 marks. Samreen Shahid from Punjab College Multan in Board of Intermediate & Secondary Education Multan secured an overall 1st Position with 1052/1100 marks. Maliha Maryam from Punjab College Sialkot obtained an Overall 1st position with 1051/1100 marks. Mehwish Saleem from Punjab College Faisalabad in BISE Faisalabad secured an Overall 1st Position with 1051/1100 marks. Faryal Pervez from Punjab College Kot Addu in BISE DG Khan secured an Overall 1st Position with 1057/1100 marks. Zaheka Tul Jannat from Punjab College Chakwal in BISE Rawalpindi secured an Overall 1st Position with 1048/1100 marks. 3 students from Punjab College Sargodha secured an overall 1st position in Federal Board Result ’18; Hammad Saleem (1058/1100 marks), Masooma Zainab (1058/1100 marks) and Momina Maham (1058/1100 marks). 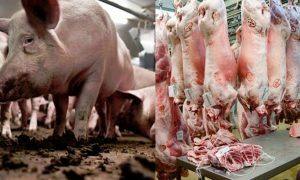 These shining stars deserve a huge round of applause! WOW! 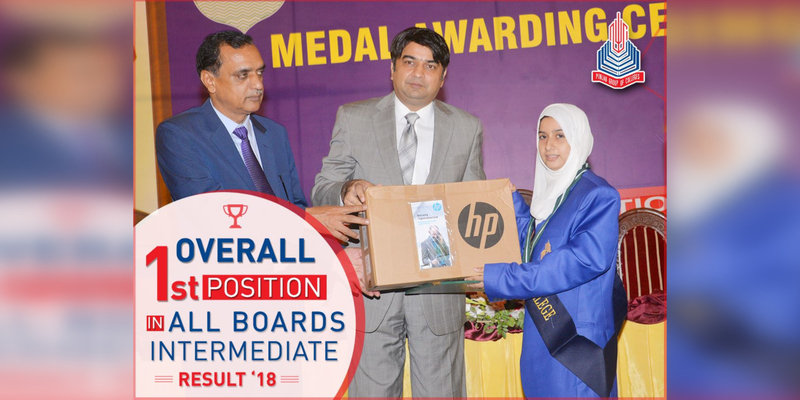 Punjab College secured 3 Overall Positions and a total of 21 Top Positions, GCU & Kinnaird College secured 7 & 1 position respectively, and KIPS College secured 1 position. Govt. Degree College Bahawalnagar notched Overall 1st position, Punjab College secured total 10 Top Positions, and Superior College achieved 2 positions. Punjab College accomplished 3 Overall Positions and total of 10 Top Positions, Govt. PG Layyah notched 3 positions and Govt. College Women Muzzafargarh achieved 3 positions. Punjab College nailed 3 Overall positions & 28 total Top Positions, KIPS College bagged 2 positions, Superior College accomplished 3 positions. DPS Sahiwal clinched 1st 2 Overall positions & total 6 Positions, Punjab College stood out with 11 Top Positions. Punjab College achieved 2 Overall positions with 18 Top Positions, Superior College secured 1 position, KallarKahar Science College Chakwal earned 3 positions. PGC students commendably notched 1st Overall Position (shared by 3 Punjab College students). Whereas, the 2nd Overall position is also accomplished by the brilliant students with total of 12 Top Positions. Punjab College bagged 3 Overall positions while clinching 19 Top Positions as well. KIPS College & Superior College scored 6 & 2 positions respectively. ILM College achieved Overall 1st position & 4 positions in total, DPS College Khushab nailed Overall 2nd position, Punjab College stood out by accomplishing total 10 Top Positions. Superior College notched 3 positions. Punjab College clinched Overall 1st & 3rd positions with 11 Top Positions collectively. Whereas, KIPS College secured 4 positions. Nishat College & Burten College achieved 2 & 2 positions respectively. The stats above are evident to depict how successful the institution is. Nailing 153 Top Positions in All Boards Intermediate Result ‘18 is indeed a proof of excellence. Furthermore, 8 positions are clinched by students who appeared privately in All Boards Intermediate Exams. The most exciting fact about Punjab Colleges is that its students have the highest number of positions in all the Science subjects (Pre-Medical, Pre-Engineering & I.C.S etc). We congratulate all students who managed to bag these top positions and accomplish such amazing results! 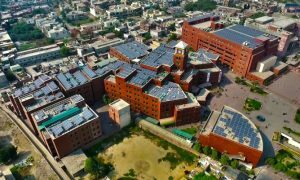 One of the Largest Solar Power Plant in the Education Sector of Pakistan Installed at UCP! This Pakistani Institute Stole the Show by Securing 148 Top Positions in Intermediate Results!